Home » NEWS » Did Samsung Just Leak the Design of the Galaxy S8? Did Samsung Just Leak the Design of the Galaxy S8? After the Note 7 exploding phone fiasco, Samsung really needs to hit it out of the park with the next entry into its smartphone lineup. With expected losses from the recalls climbing to over 5 billion, Samsung’s shareholders are itching for a device that will restore confidence in the tech giant’s ability to compete in the high-end smartphone market. It looks like consumers might have gotten a sneak peak of Samsung’s Galaxy S8 in two advertisements released on January 10th and 12th. The advertisements are designed to show off Samsung’s new AMOLED displays, but feature a mystery smartphone that doesn’t match anything in Samsung’s current lineup. 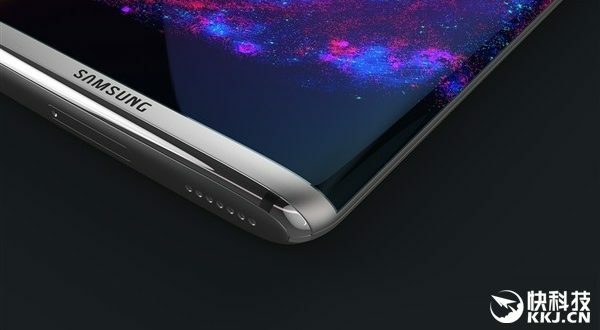 There are artist renderings of the Galaxy S8 based off of rumors, and the phone featured in the videos seems to match what people were anticipating for the design. 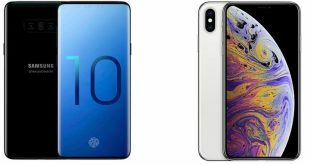 For example, the phone features a high screen-to-body ratio with minimal borders on the top, and no home button which leads one to believe that the fingerprint sensor is actually built into the display. The fact that the mystery phone is being used to advertise the AMOLED screens means that it’s possible the technology will be featured on the Samsung Galaxy S8. The release date of the S8 is reportedly set for April 18th, 13 months after the S7 and S7 Edge were revealed. All we have right now are rumors, but the phone in the advertisements seems an awful like a new flagship for Samsung, and it looks pretty slick. Only time will tell if this potential new entry can help recoup some of the massive damage the company suffered from their exploding Note 7s.